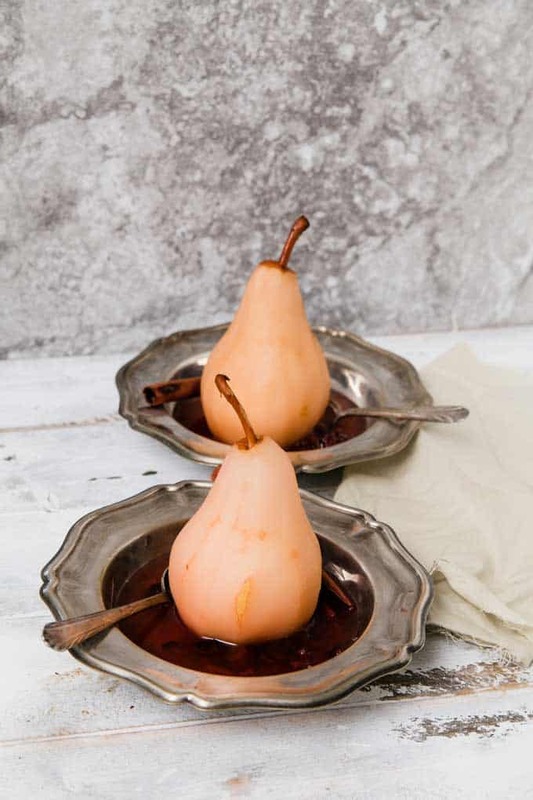 These Cranberry Poached Pears make an elegant dessert for entertaining! 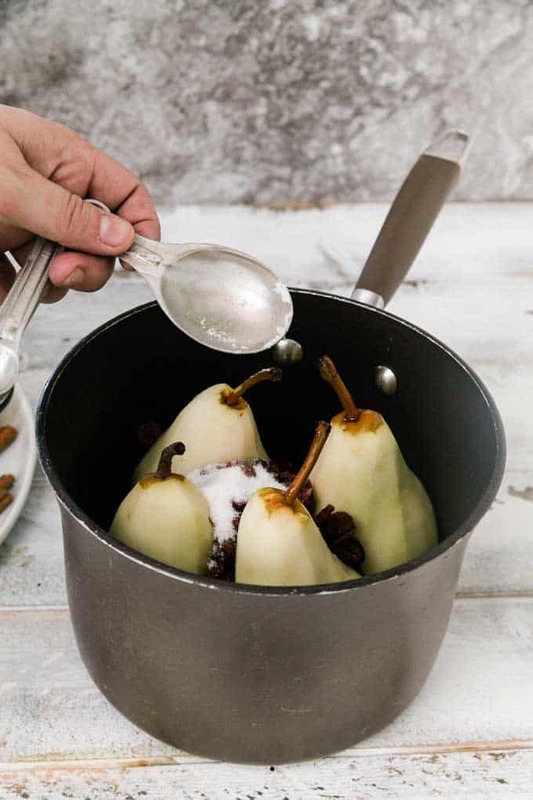 The perfect healthier dessert for the holidays. It has been one of THOSE weeks around here. As a write this, I’ve got a sleeping baby (ok, preschooler) laying about 5 feet from me. All three of the kids have been sick this week. While I am certainly grateful that I’ve remained healthy, it has been a trying week for sure. Skye is usually the sweetest sick kid. Early this week she was. It is hard to believe it, but this is the first time that she has been sick more than a couple of days. By the time we got to the end of this week, she was getting cranky. I asked her what she was mad about. She told me she was mad at me. Hmmm…ok. I’d just made her breakfast, so I assumed she wasn’t happy with it. Then she marched upstairs and told her brothers she was mad at them. This went on for hours – with her loudly proclaiming that she was mad every ten minutes or so. This behavior could not be more out of character. Normally, if you ask Skye how she’s doing her reply will be “I’m HAPPY”. There is nothing quite so pitiful as a three-year-old who is mad at the world because she doesn’t feel good. Mercifully, she finally let go this afternoon and took her first nap of the week. Here’s to hoping she wakes up feeling better! In fact, let’s go ahead and celebrate her feeling better, ok? 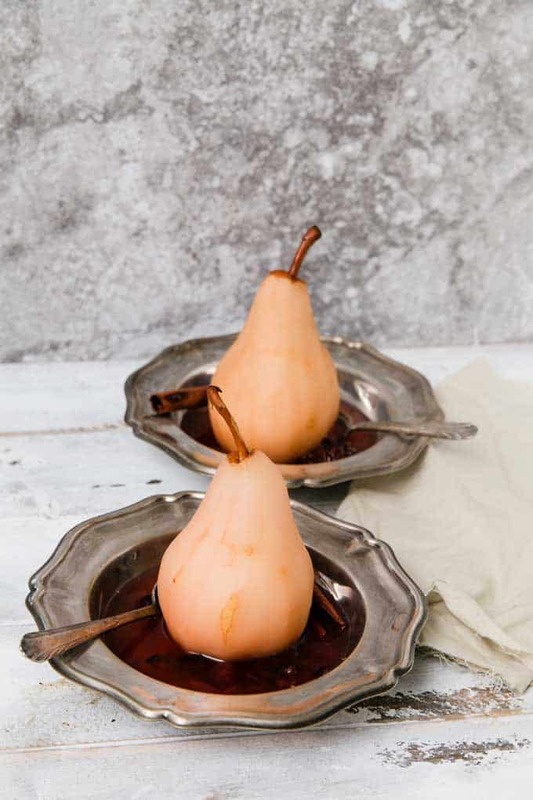 So let’s celebrate with these poached pears. 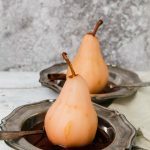 These Cranberry Poached Pears have just six ingredients and make the perfect elegant dessert for your fall and winter entertaining. Fruit desserts are always a favorite of mine, and these are just fabulous. 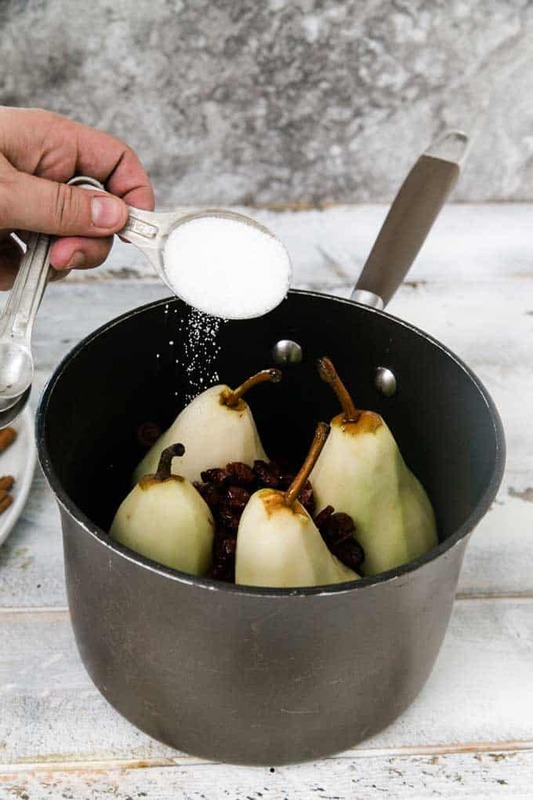 They are perfect when you want a holiday dessert that feels luxurious but won’t weigh you down. I hope that you and your family are enjoying a happy and healthy holiday season. I know I am looking forward to the same around here. Cover cranberries with boiling water, allow to rehydrate for 15 minutes. Set aside. 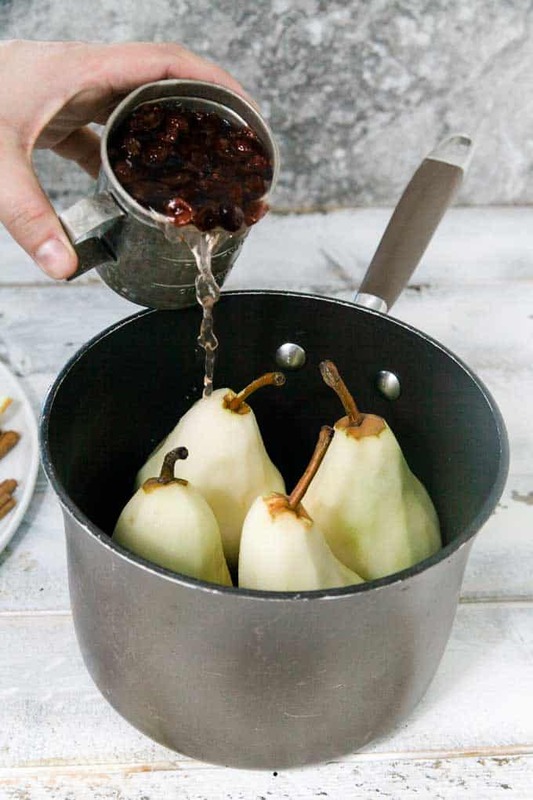 Peel pears, place in a saucepan the correct size for pears to fit snugly and not fall over. Add remaining ingredients and cranberries. Cover with water until pears are just covered. 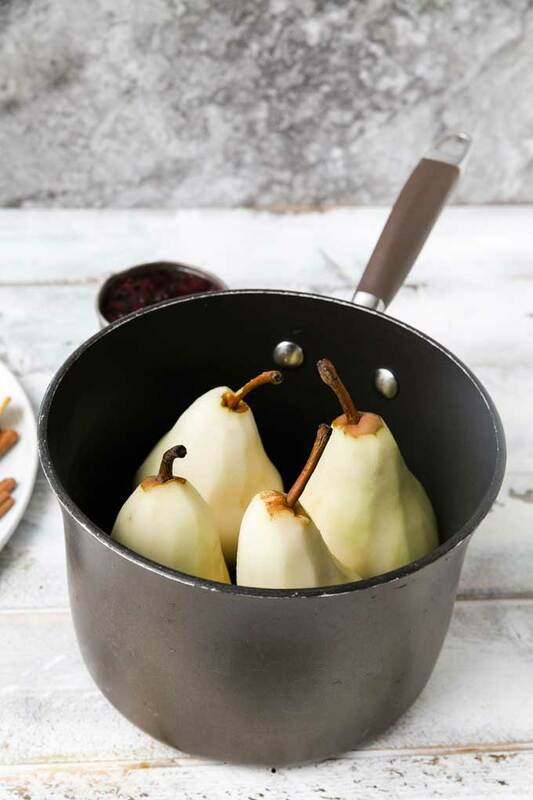 Bring saucepan to a boil over high heat and then reduce heat, simmering pears for 10-15 minutes until tender. 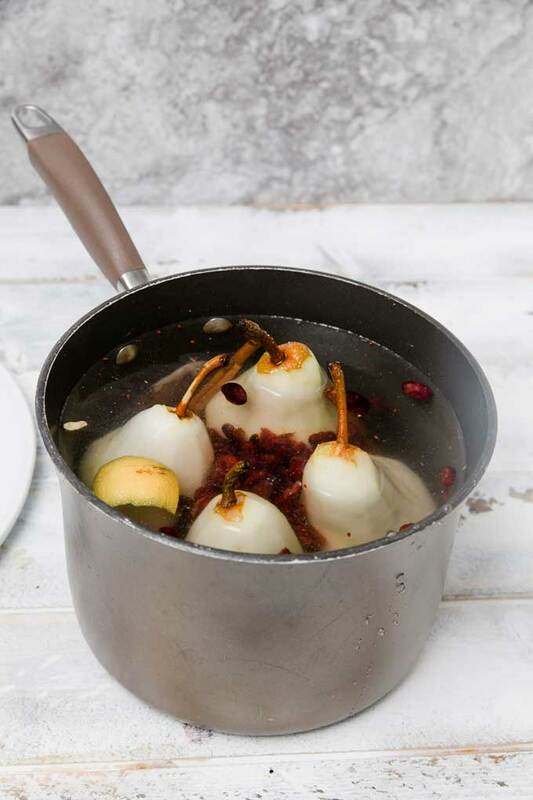 Remove pears from saucepan and place in serving bowls. Reduce sauce over high heat for 5-10 minutes until slightly thickened. 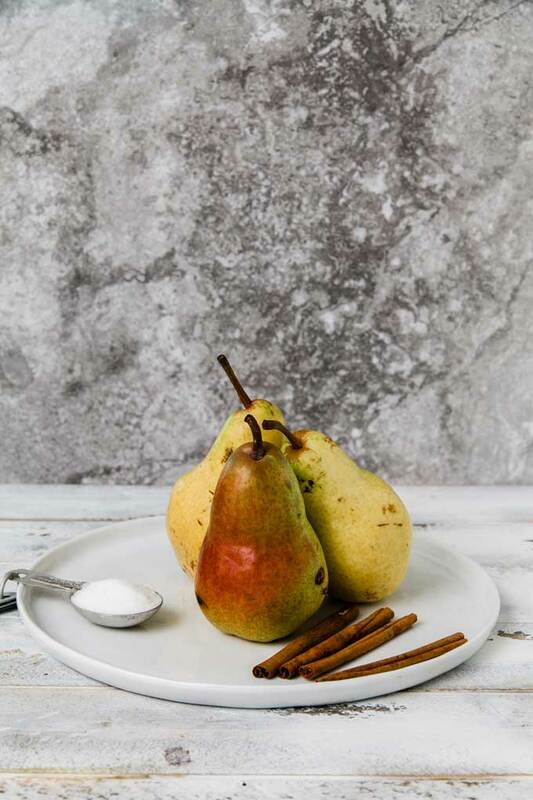 Allow sauce and pears to cool, then serve garnished with cinnamon stick. If desired, serve with freshly whipped cream or vanilla greek yogurt. Those look absolutely heavenly! My family loves cranberries and I know this would be a big hit in our family. I am definitely going to try it. Those sound so good! l will definitely be serving this at our Christmas dinner. Thanks! I hope you enjoy it Stacie! 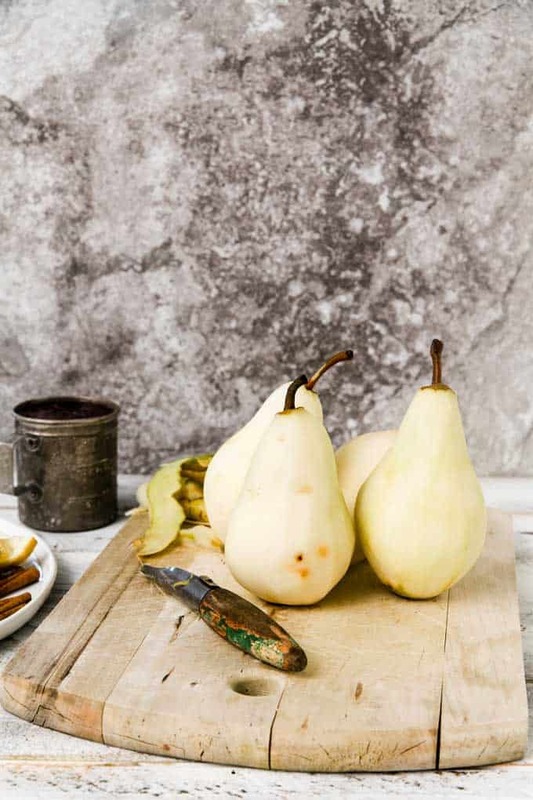 Those pears look delicious! Hope your family is on the mend soon! Thanks so much Amanda. Everyone is much better today. Poor baby, hope she’s feeling better! The recipe looks amazing. Thanks so much Kerri – she is is finally better. 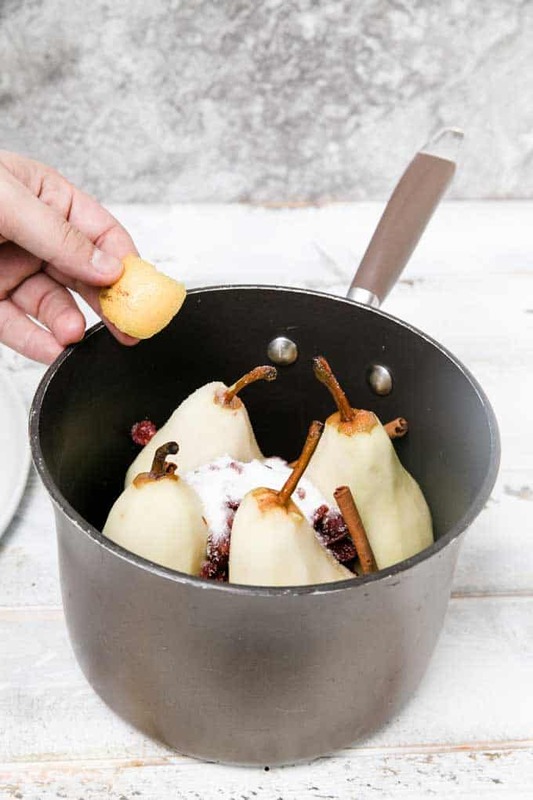 These cranberry poached pears are something I will have to try. I would never have thought about this kind of a dessert but it would be a great idea. Thanks for sharing the recipe. LOL, your daughter sounds like a riot. Hope she starts feeling better soon. 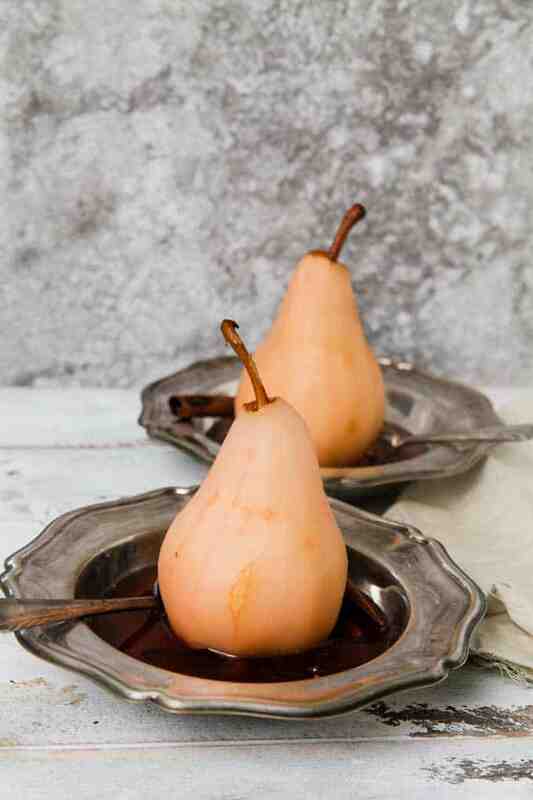 And those cranberry poached pears look amazing. She is a pistol! We enjoy her so. 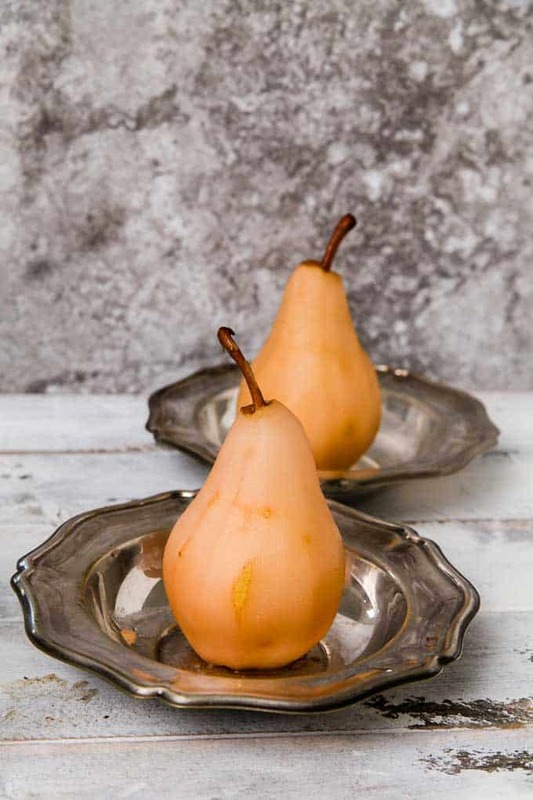 Pear is one of my favorite. Sounds so delicious to make your recipe.. Yummy! 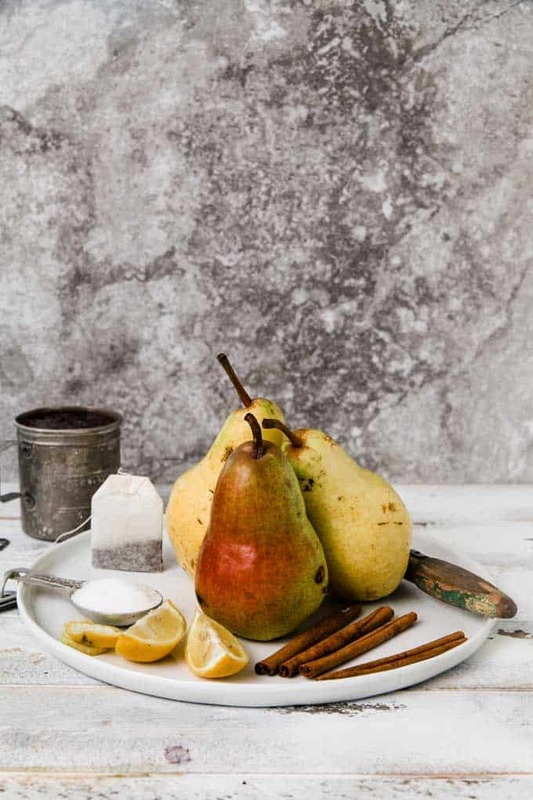 I adore pears too! I need to cook with them more. 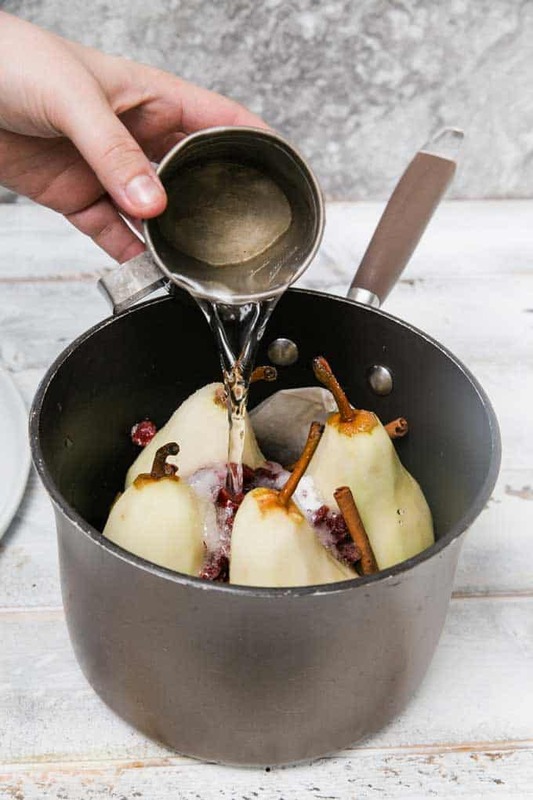 those cranberry poached pears look amazing. i never heard of them until and now and would love to try them. What an elegant dessert! I love hosting a nice New Year’s Eve dinner party and I would love to include this on my menu. Thanks for the inspiration! It would be perfect for New Year’s Eve! I hope your daughter feels better. My son is sick today too. Of course, he acts fine but dr said it was likely sinus infection and covering for bronchitis/pneumonia. She woke up from her nap much better! I hope your son gets well soon. This sounds like a really good dish. 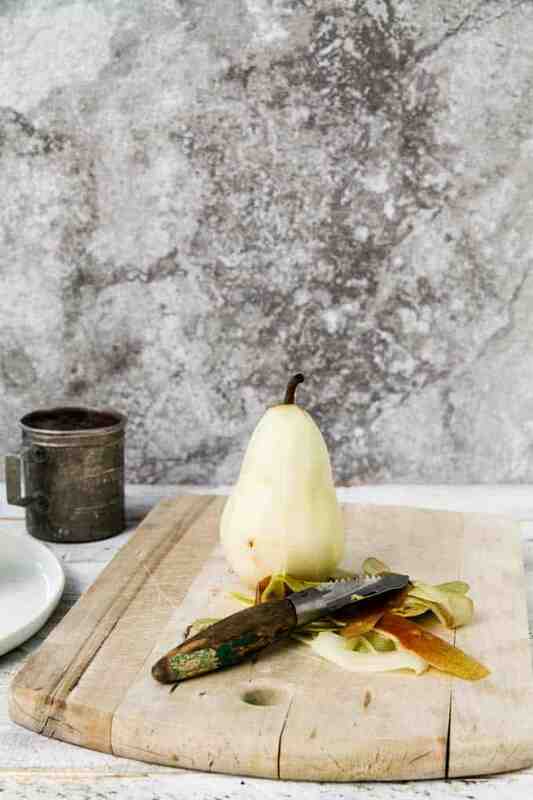 I love pears and cranberries a like. Might try this one out. Oh yum! That looks divine! Yup, positive thinking always works and here’s to your 3-year-old feeling a lot better soon. You are so right – positive thinking is such a powerful thing in our lives. She DID wake up better. That sounds so yummy!! 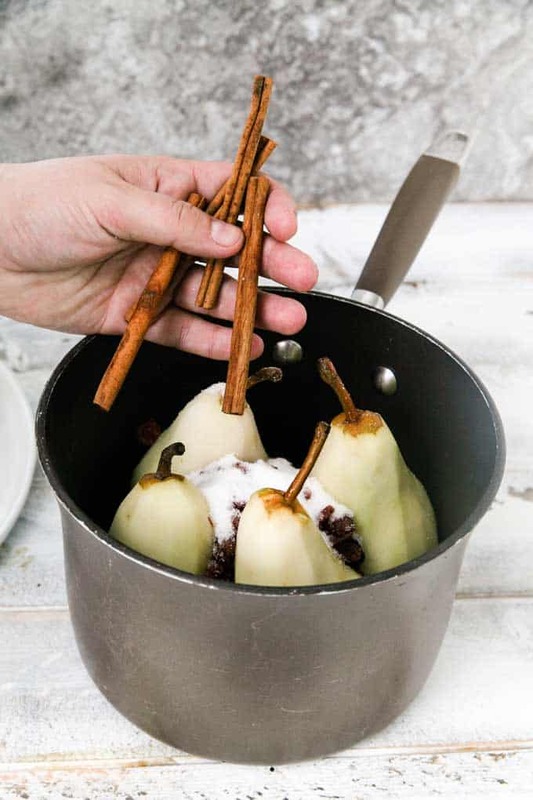 I never thought about doing pears this way, but I might try it! Let me know how it goes if you do Jacqui! I am pretty sure that my 10 year old has been mad at me many, many times. 🙂 I always tell them it isn’t my job to be their friend, it is my job to raise them to be responsible adults. Skye is a very cuddly kid too, and usually amazing when she is sick. She had just never been sick this long and by the last day was super-frustrated and too little to really articulate it with anything other than that she was mad. Thanks Adriana – hope you enjoy. Nothing quite like a hangry toddler. We sometimes get hit with three of them if we dawdle over meal prep and it’s ugly. Oh wow…three toddlers can’t be easy at any time. 🙂 The boys kept me on my toes when they were both toddlers for sure. Thanks Kathy! Let me know how it goes if you try it! I hope you enjoy Terri! I’d love to know how it goes if you give it a try! 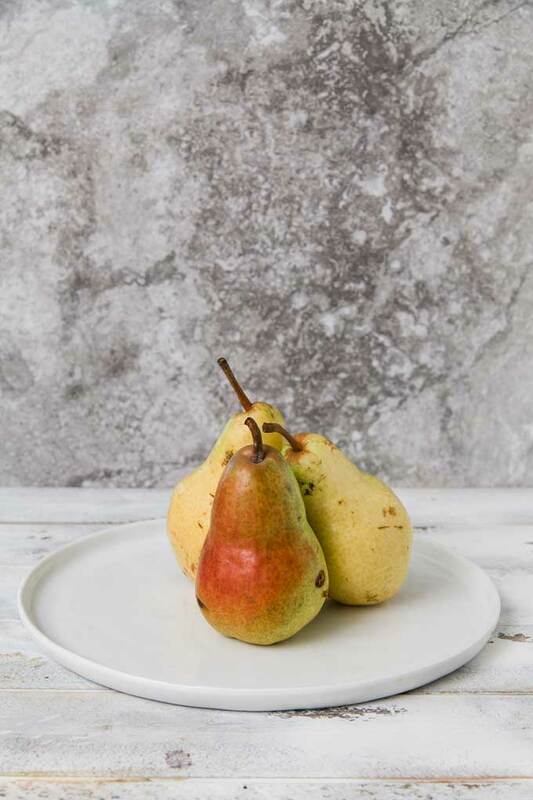 I don’t think I’ve ever had a pear outside of just a normal pear! This looks like a delicious and creative way to prepare one!